Off junction 11 of the M40 motorway, there is a familiar landscape. Out-of-town retail stores and drive-through franchises for hungry motorists. Roundabouts, industrial estates and warehouses. But on one corner of Banbury's sprawl is a small unit where the stripped-back monocoques of two Formula 1 cars sit still. After a season spent tearing up race tracks across the globe, each chassis, perched on its own stand, is silent. Their secrets can now be revealed, for both machines are redundant, never to be competitively raced again. The edges of the cockpits are slightly worn; oil and rubber still detectable around the suspension arms. Inside the cockpit of one is a sticker - a diagram of the Abu Dhabi circuit, complete with corner numbers. Next to it is a child's drawing: stick men and colourful scribbles. A reference to where the car was most recently raced and a reminder of home for its pilot, Romain Grosjean. Stripped of their engines, gearboxes, radiators, electronics and bodywork, the cars' naked forms reveal tiny intricate details. Water pipes, brackets and screws, all engineered to perfection. There is no manual for these machines: the Haas VF-18 was a custom-designed one-off. In contrast, in a factory over 700 miles away, work is feverish. Machine shops, composites and assembly lines are constructing the cars' successors. 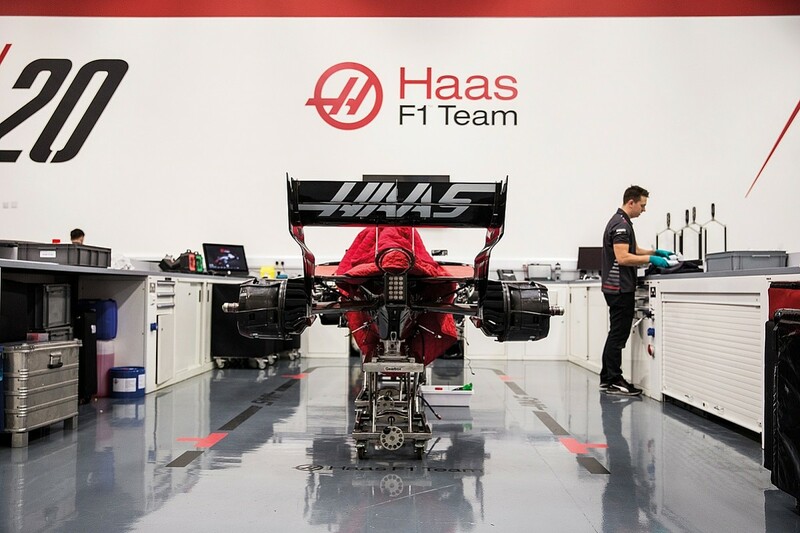 Design offices are abuzz with new ideas as the 2019 Haas F1 cars come to life before being unleashed onto the track to race. The work on the 2019 cars is taking place at the Dallara factory near the Italian city of Parma, just 30 miles from Ferrari's Maranello headquarters and windtunnel. Haas sub-contracts Dallara, under the legal entity of Haas Italia, to design its car each year, in combination with Ferrari engines and gearboxes and other 'non-listed parts' - that is, designated parts of the car that can be sourced from a rival constructor. As much as 95% of Haas's operation is outsourced to other suppliers for parts to be built. There's just a skeleton crew to take care of essentials. This is Formula 1 stripped back, lean and efficient. A new model for grand prix racing, which is rocking the established giants. Once the cars are assembled at Dallara in the days prior to testing, they will be flown from their birthplace never to return. Their new base after each race is here, in Banbury, where the race team takes over their care. After genesis, the focus for Haas Italia switches to upgrades and the following year's machine. 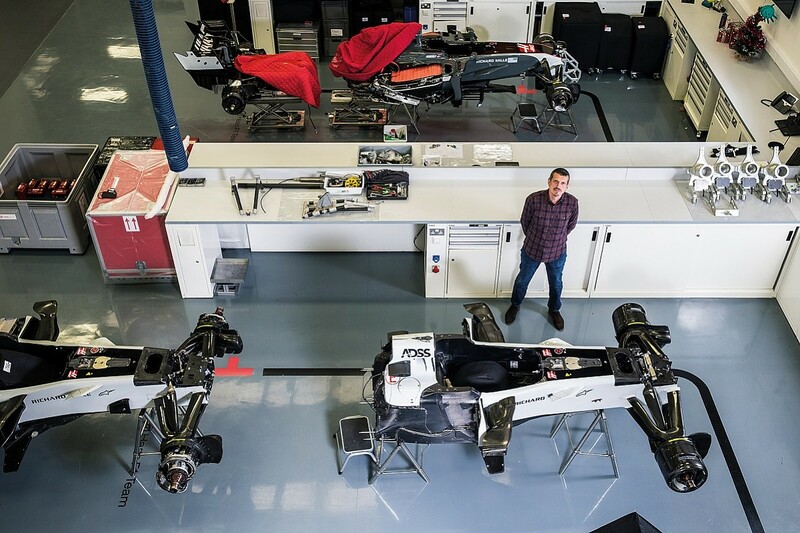 The mechanics who have travelled the world with the two Haas VF-18s are all based in the UK, within the confines of the self-proclaimed motorsport valley. This is the reason the 44,000ft2 logistics hub exists in Banbury. Dallara is contracted to design and develop the car, while a separate UK team will service and race them. Over in the US, meanwhile, team owner Gene Haas oversees the finance, administration and HR. In the 21st century, no longer does a Formula 1 team need to exist all under one roof. "We are a US-based company, but our collaboration with Dallara meant we needed something in Italy," explains Gunther Steiner, team principal and brains behind the Haas F1 project. "Because it takes time to set things up, it was easier to find people who were already going racing. We couldn't set up a design team here in the US because it would be too detached from the Ferrari windtunnel we had an agreement with, so the design team is in Italy, but the race team mechanics are in the UK - hence, we came up with this system." 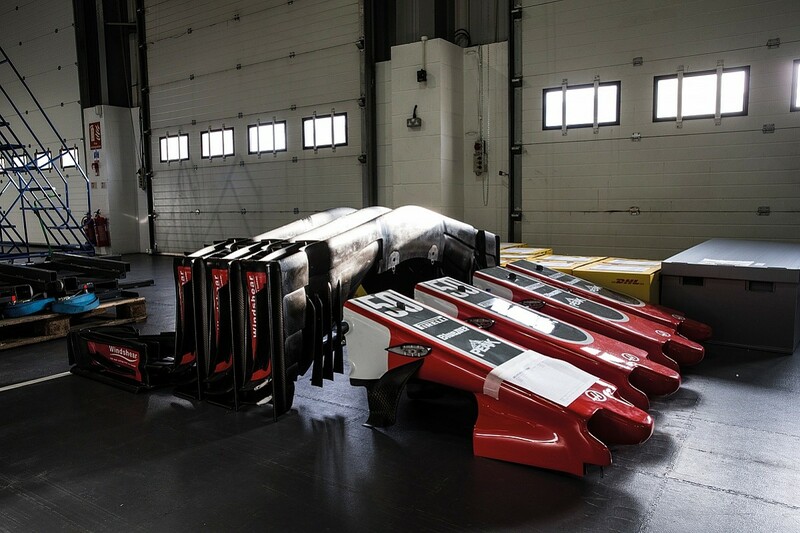 Inside the Banbury base, there are race bays for stripping down and servicing the cars after each grand prix, a department that houses spares and processes upgrade parts that are incoming from Italy, plus a small composites department that can make tiny repairs. 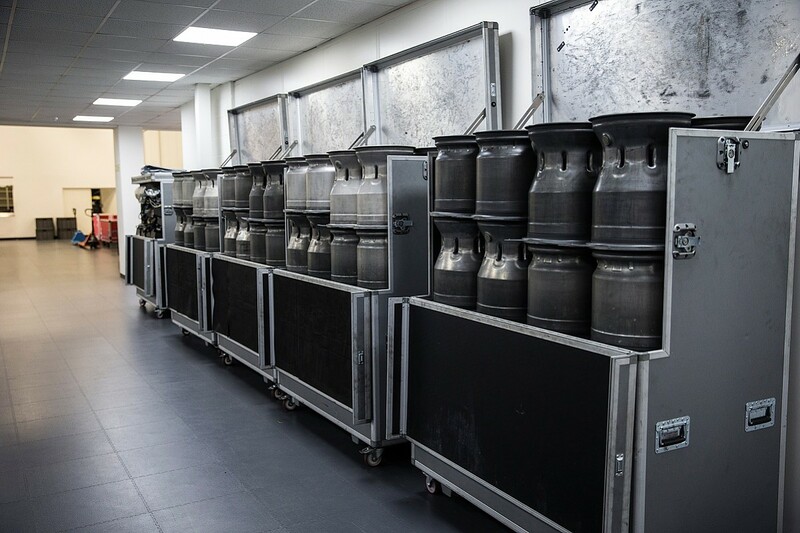 "For the flyaway races the cars remain in transit, but after the European grands prix, they come back to the UK for servicing," Steiner explains. They are very complex, so we might need to tweak areas of the car, service bearings and de-bond parts - or take everything apart and check the carbon with ultrasound for any cracks that might otherwise go undetected." There is no huge floor of industry here; this is not a manufacturing facility on the grand scale of the other established F1 teams on the grid. The Banbury building takes up a space 15 times smaller than McLaren's Technology Centre in Woking, but in 2018 the minnow outscored the established giant by 31 points. "When we started out in 2015 everyone was doubtful about what we were doing because we weren't doing it in the traditional way," notes Steiner. "But we couldn't do it that way with our budget. It just wouldn't have worked. We are not cleverer, we have just found a different way. Other teams could follow suit, but you need a good partner, like we found in Ferrari, which helps. We're a small team but another car manufacturer might want to do it differently and make everything for themselves." As Steiner begins our tour of the Banbury facility, there is everything you would expect to see in a modern F1 team. 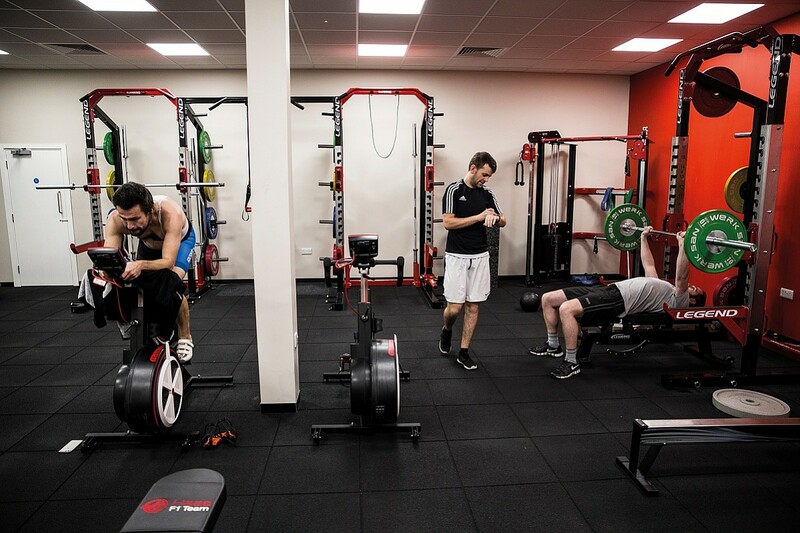 There's a small gym, with weights and static bikes to keep the mechanics in shape, helping them cope with long-haul travel and demanding hours. 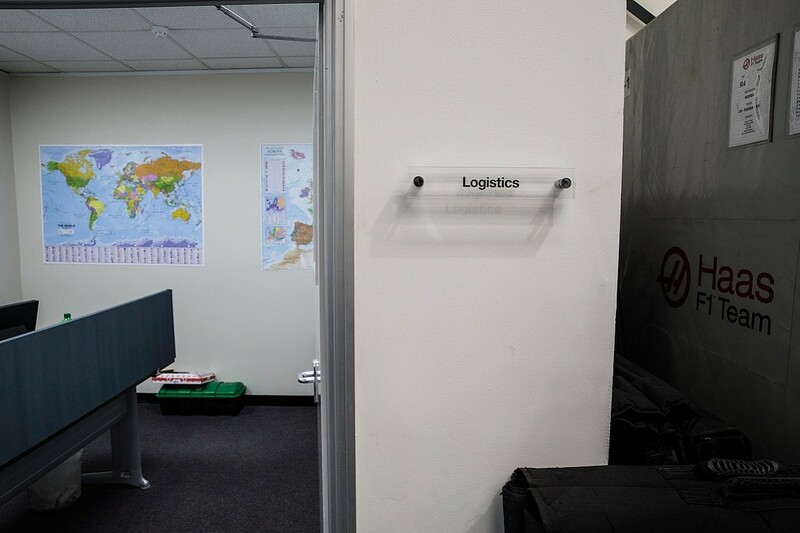 There's also a logistics office, adorned with world maps, to manage the sets of air and sea freight that accompany the team around the world. 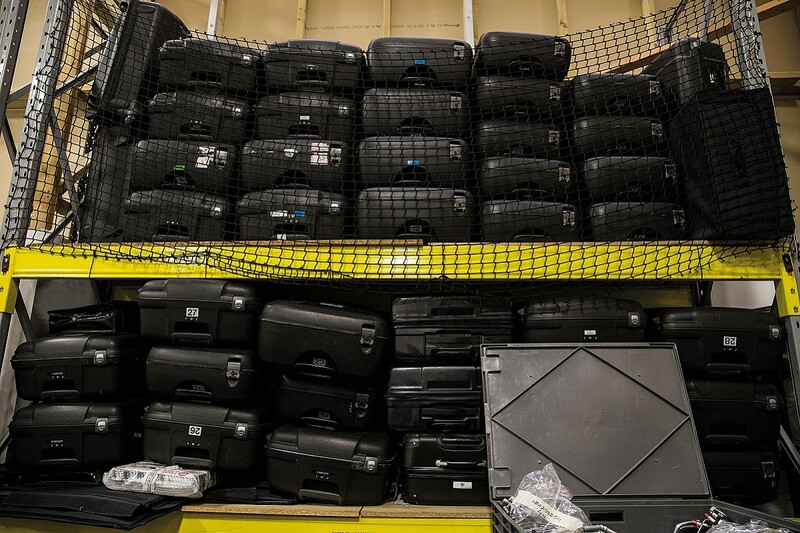 Like most F1 outfits, Haas owns half a dozen sets of sea freight - stored in another part of the site - that travels in different directions around the globe. The race team then catches up with the freight when the grand prix is in town. Inside the sea-freight containers are the tools and equipment for the garage, plus fridges, catering equipment and furniture for hospitality units. The first boxes set sail for Melbourne in early January and they will criss-cross the globe to make it to every race track to coincide with the personnel and cars that will arrive separately via plane. The planning and co-ordination is akin to a military operation. This Banbury Haas HQ also has a showroom - but there are no cars in it. Unlike McLaren, Ferrari and Mercedes, the business behind the Formula 1 team is not to sell cars for the road. 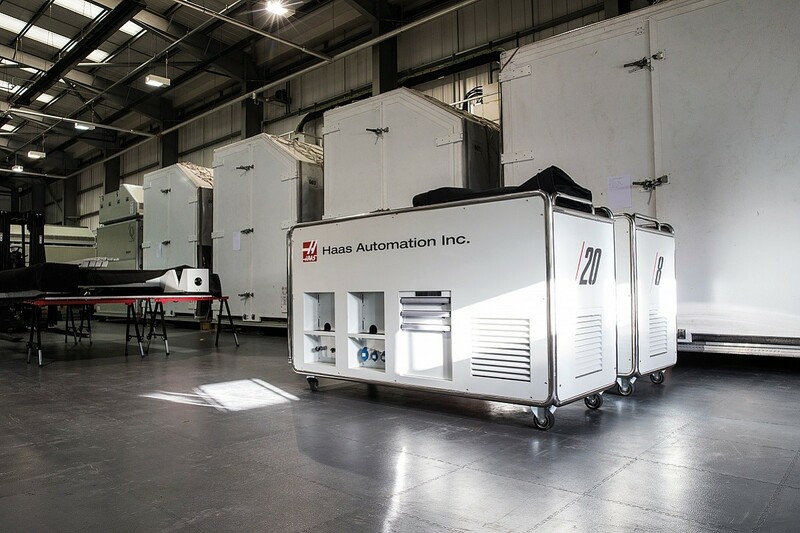 Haas builds computer-controlled precision tooling machines for global companies. Employing nearly 1500 workers in locations including Shanghai, Mumbai and Brussels, Haas Automation is one of the largest machine tool makers in the world. In 2014, annual revenues for the company exceeded one billion dollars for the first time as it sold over 14,000 units. 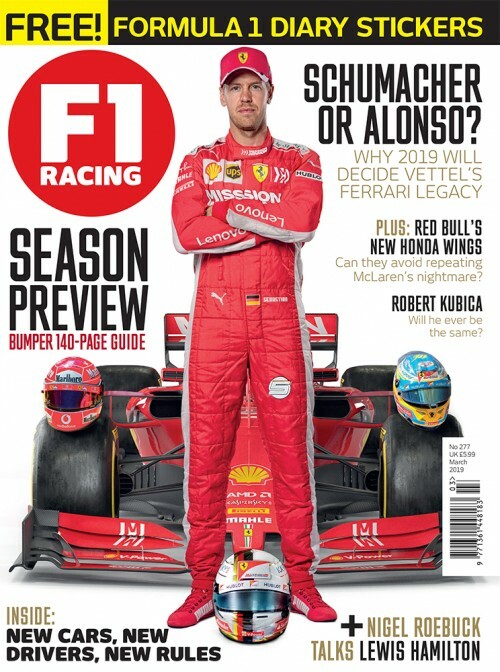 The Formula 1 project is a promotional tool (no pun intended) for global exposure to sell even more. Prospective clients get a tour of the computer numerically controlled (CNC) machines - next to the race bays of two Formula 1 cars. Despite the wealth of the parent company, racing enthusiast Gene Haas doesn't want to waste profits on a huge outfit in the same style as other non-manufacturer backed squads, such as Red Bull or Williams. The budget dictates the process of racing is lean and efficient. Perhaps, that is one of the reasons for Haas's relative success in its three years in F1: eighth, eighth and now fifth in the constructors' standings. "I would say so," agrees Steiner. "We are more efficient because we have fewer people, so there is less administration - more control of everything. I think we spend about half of what the other teams do." In 2018, Formula 1 was dubbed a two-tier championship, where the big spenders, Mercedes, Ferrari and Red Bull, competed in a separate league to the competitive, relative minnows - labelled 'Class B'. The problem Haas and Force India have is that they'll never be able to conquer the top three with their current spending, under the existing regulations. "You should never say it's impossible, but without a special circumstance there isn't a chance for anyone outside of the top three teams to win a race," says Steiner, bringing his tour of the Haas hub to a close. "The future aim is to create a level playing field by introducing a budget cap in 2021. It's being worked on; it's not up to us, but there are a lot of other teams who cannot achieve the top three either. "We are all conscious of it because the gap is too big. If a budget cap comes into place, then a lot of other teams will have to downscale and will arrive at a similar position to where we are. Then being efficient will be important." Haas has broken the mould of racing in F1. It has managed to be successful without building every aspect of a racing car itself, instead outsourcing to specialist suppliers, legally sharing parts, and keeping costs to a minimum. If Formula 1 is going to have a healthy future, slimming down to Haas's level will need to become a realistic option for some of the championship's more overgrown outfits.